Jawa has listed the first phase of dealerships that are supposed to be operational before the end of 2018. The same list also clears that second phase of dealerships will be operational by March 2019. The plans for the next fiscal are still confidential. The 125+ dealerships will guarantee a tough competition to Royal Enfield and UM bikes in India. The latter is already struggling for sales while Royal Enfield fans may not change sides so easily. Jawa is currently offering two bikes named Jawa and Jawa 42 in the country. The former is based on a few decade old designs while Forty-Two comes with modern elements. The best part for buyers is the starting price tag of INR 1.55 lakh, applicable on the Forty Two while Jawa 300 costs INR 1.64 lakh. The most awaited Jawa Perak, priced at INR 1.89 lakh, will launch in India in the second half of 2019. 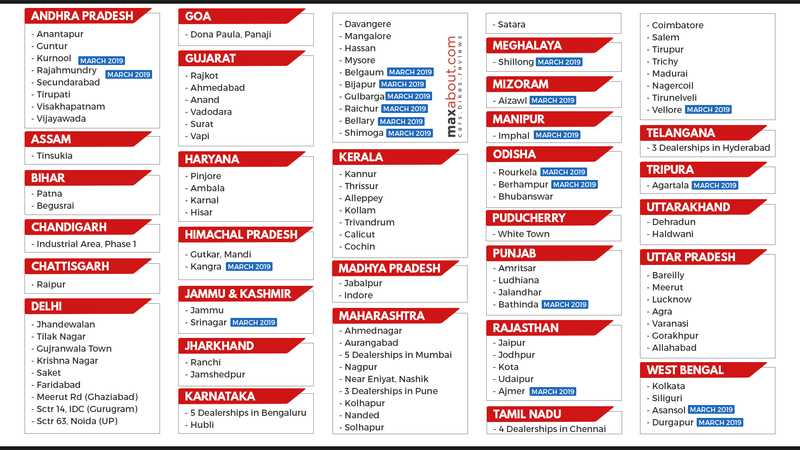 You can CLICK HERE for more details on the Jawa dealerships in India.